NBC will use its dual-SkyCam system to present a new primary viewing angle for its coverage of Thursday Night Football on Thursday Nov. 16, featuring Tennessee at Pittsburgh. NBC first used the SkyCam as a primary viewing angle last month when fog descended into Gillette Stadium during Sunday Night Football’s Falcons-Patriots on Oct. 22. With high cameras blocked by the fog, the SNF production team in the truck was forced to adjust on the fly during the second half, opting to use one of two SkyCam systems (coincidentally, it was the first time NBC deployed two SkyCams on a regular-season game) as the primary game angle. 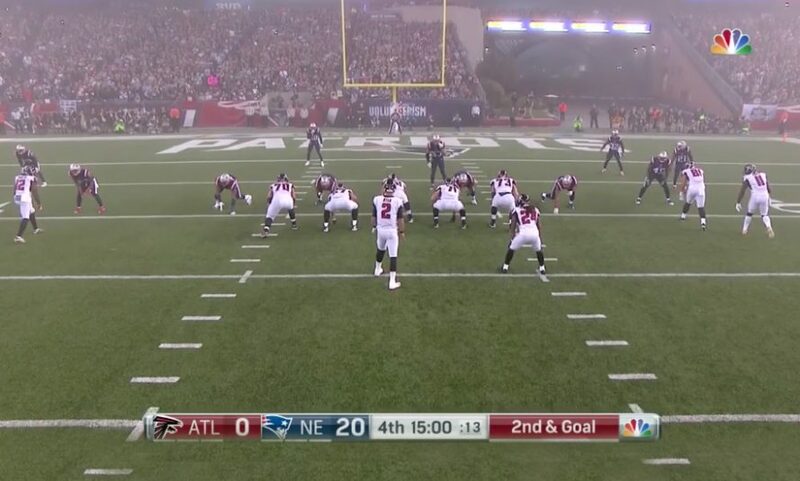 NBC Sports used its SkyCam system as the primary game camera throughout the foggy second half in Foxborough. SkyCam was also used early in the third quarter of this past weekend’s Sunday Night Football game (Raiders at Dolphins on Nov. 5) as residual smoke from halftime fireworks obscured the traditional camera angles. The SkyCam-centric coverage received widespread acclaim from viewers via social media and presented a unique new perspective for fans akin to EA Sports’ Madden NFL videogames. The dual-SkyCam coverage features one system up high covering the full field and the other, lower system serving as the primary game angle. Both aerial systems are SkyCam WildCat systems equipped with Sony P1 cameras and Fuji 18X5.5 zoom lenses. NBC Sports has also worked with SMT over the past three weeks to further develop the framing, workflow, and artwork for the 1st-&-Ten line available on Skycam. Skycam is tracked using SMT’s camera tracker and graphics are rendered over the 1st-and-Ten virtual line. SMT’s lines remain on six up cameras and positioning is synchronized real time. CLICK HERE for SVG’s full coverage of the Oct. 22 “Fog Bowl 2.0” production that deployed the dual-SkyCam model.